Please join us for a talk with Professor Elizabeth Hoover about the research methods employed across a series of projects with Native American communities around topics of environmental health, and food sovereignty. 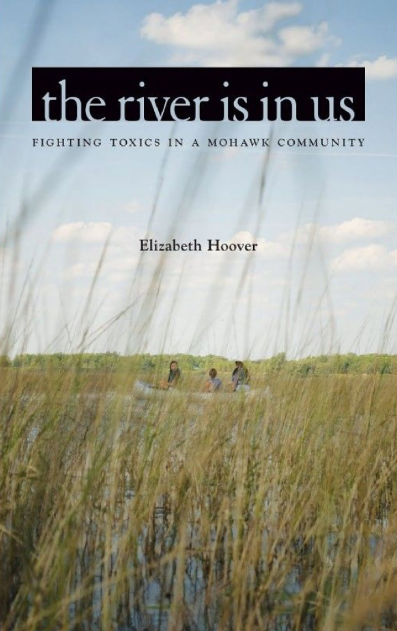 Hoover will begin by discussing her first book, The River is In Us: Fighting Toxics in a Mohawk Community (2017, University of Minnesota Press), about the Akwesasne Mohawk community downstream from three Superfund sites, and the epic work they carried out by partnering with a state university to conduct an elaborate and lengthy series of health studies to determine the impact of these sites. In this book, she visited with study participants, field workers, and community organizers, as well as university scientists, to explore how collaborating on these studies was beneficial, as well as challenging, for both parties, and the lessons from these projects that can be applied to research more broadly. We will then move to talk about her second book in progress, From Garden Warriors to Good Seeds: Indigenizing the Local Food Movement, which focuses on 40 different communities, as well as a series of intertribal organizations and a dozen individual Native chefs.